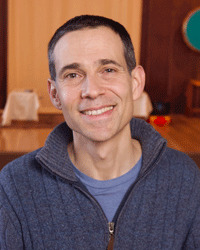 Oren Jay Sofer has practiced meditation in the Theravada Buddhist tradition since 1997 and is a long-time student of Joseph Goldstein, Michele McDonald, and Ven. Ajahn Sucitto. He holds a degree in Comparative Religion from Columbia University, is a Somatic Experiencing Practitioner for healing trauma, a Nonviolent Communication Trainer, and a member of the Spirit Rock Teachers Council. Oren is the Founder of Next Step Dharma. He is the author of the book, Say What You Mean: A Mindful Approach to Nonviolent Communication. For more information visit www.orenjaysofer.com.